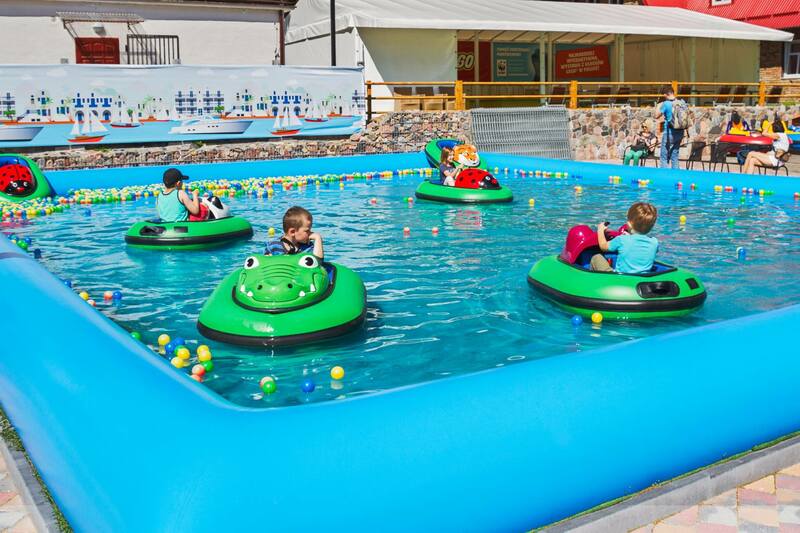 T hese high quality Bumper Boats are produced in our own factory to the highest international standards and brought to the world wide market under the brand name: Barcachoc©. Built for the amusement industry for over 30 years, it has brought joy to kids all around the world. All the parts for the productions are made in Europe and assembled in Sweden. Easy to use for the children who only need to steer the bumper boat. 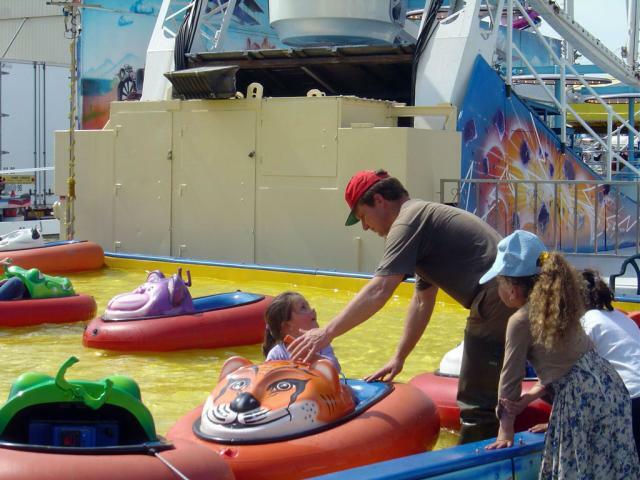 The ride is stable and safe, the kids love the animal shaped front of the boats. 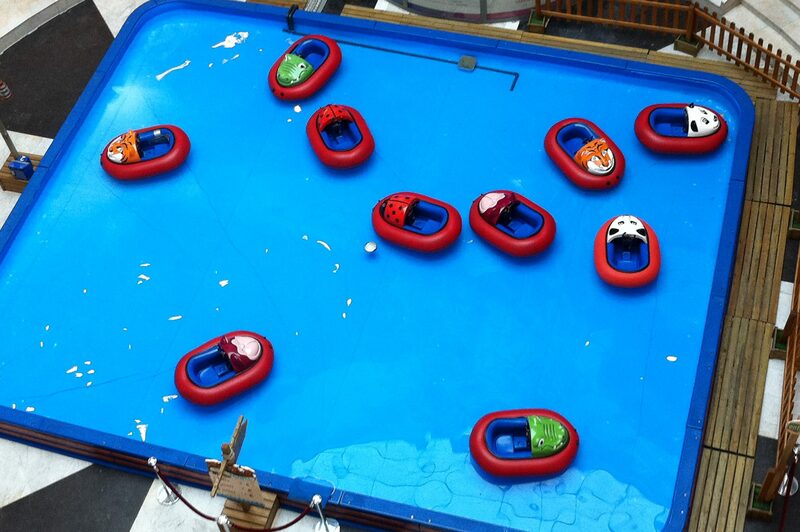 The Barcachoc bumper boats are constructed so they are easy to use for the operators. 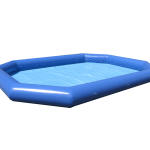 The motor operates above the surface of the water to prevent it from getting water damage. 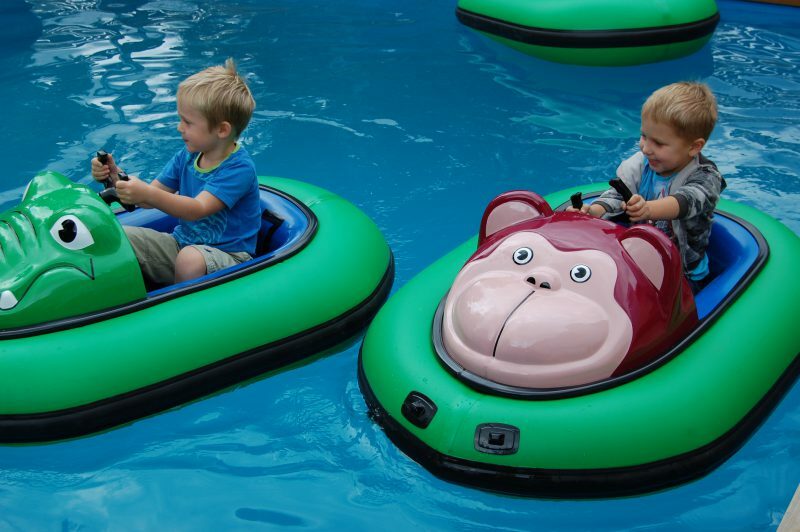 The bumper boats can be supplied complete with inflatable pools of different sizes. To make a safe and fun water attraction for the youngest kids. We feel it is important that young children actively do things them self, not just riding along and get it served. In the amusement business since 1969. Manufacture Barcachoc bumper boats since 2010. 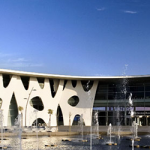 Download our brochures in the language you wish to read, we have extracted our details. 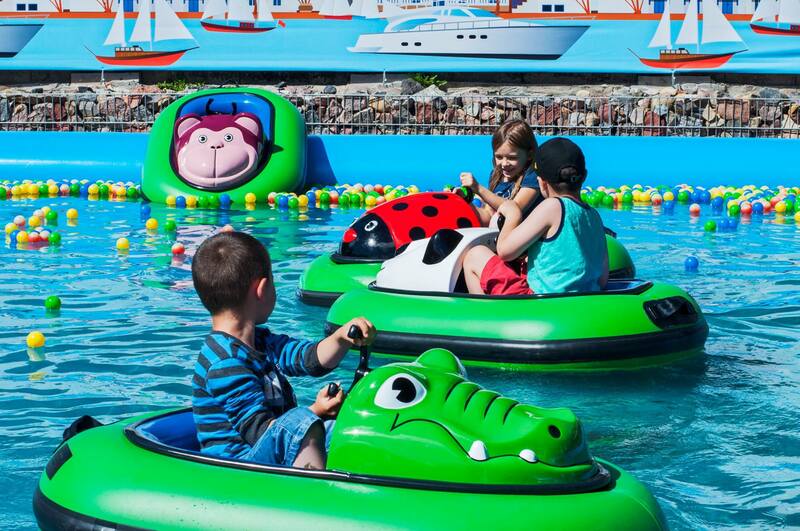 Normally, children’s rides are set to last for 3 minutes, and this is the length of time we recommend for your Bumper Boats. Many children stay on the boat for a second (or third) ride but, otherwise, it will take 30 seconds for one child to disembark from the boat and another child to embark. For the purpose of this exercise, we therefore assume that each ride PLUS changeover time will be 3,5 minutes. 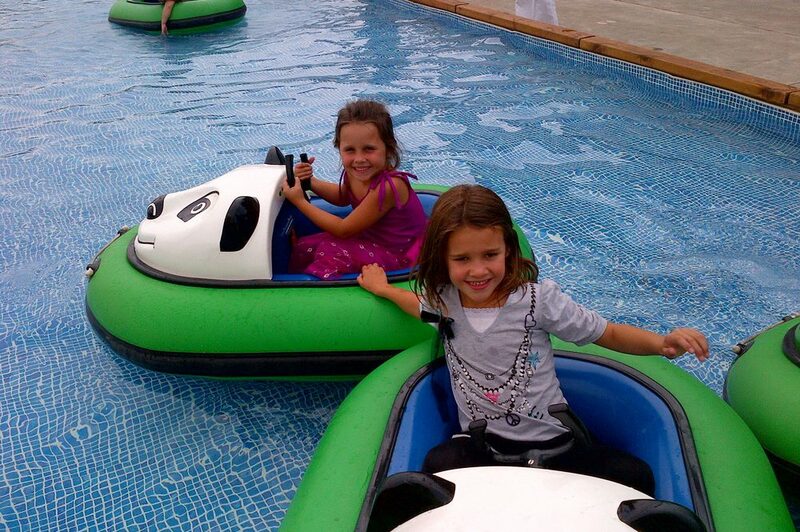 We recommend that the Bumper Boat tokens to be sold for € 2. (or 3 tokens for €5). Each boat is capable of making 17 rides per hour (including necessary changeover time). Therefore, with each boat you make 17 rides x € 2 earning € 34 per hour per boat. Your direct operating costs are minimal. The whole attraction can be run by one individual Maintenance costs are very low as all maintenance can be carried out by this one individual.